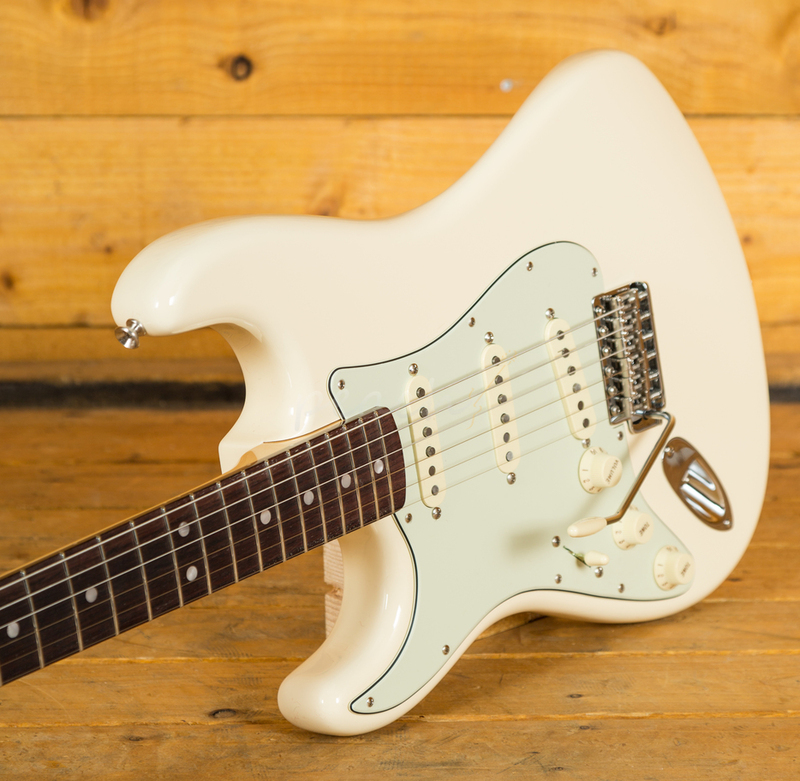 Debuting at NAMM 2018 is a brand new and eagerly anticipated line from Fender. 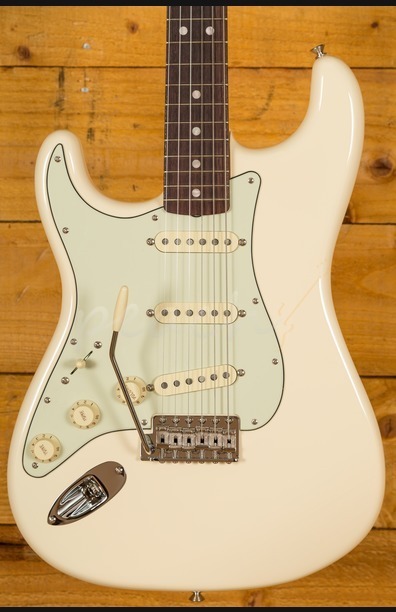 The American Original series takes classic Fender designs from specific decades and fuses them with modern construction and switching for the ultimate workhorse guitar! 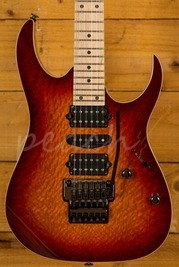 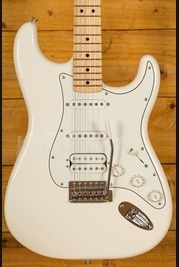 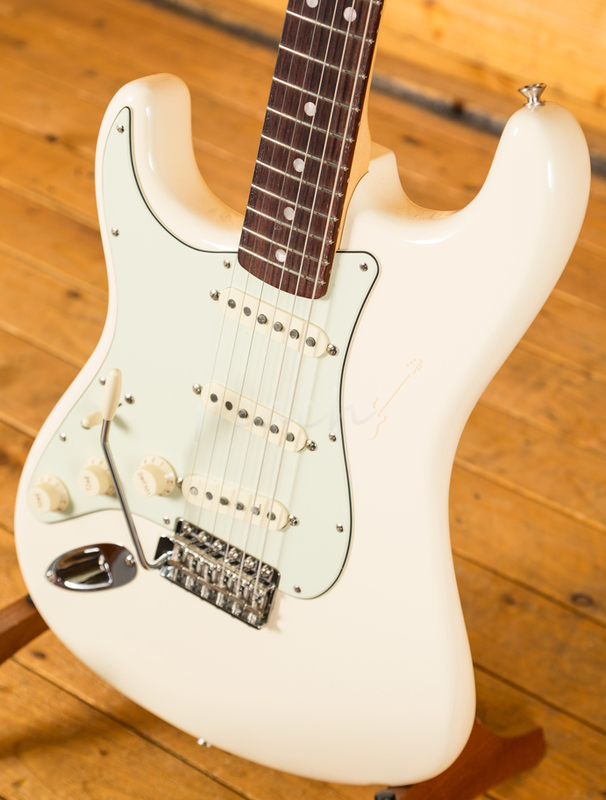 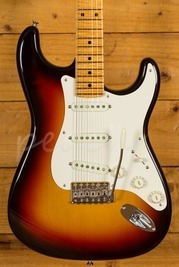 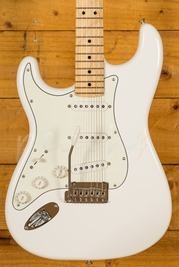 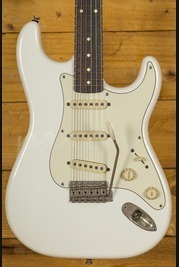 We love it when brands deliver for our left handed friends and this guitar is a real winner. 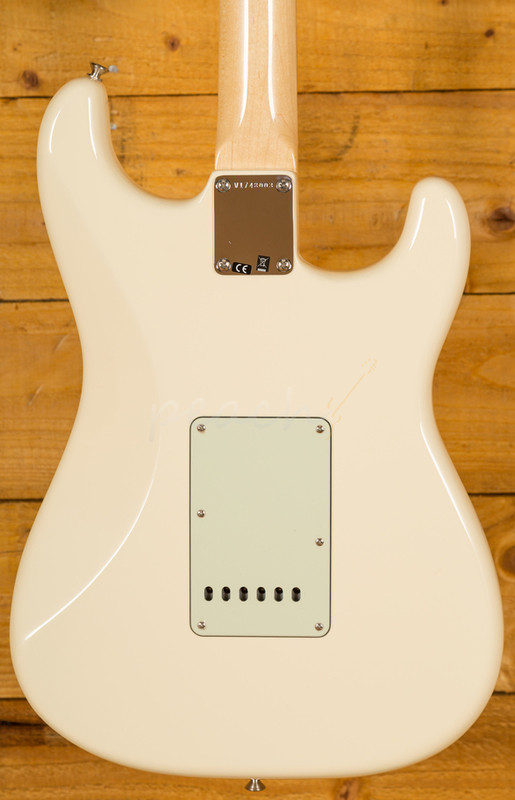 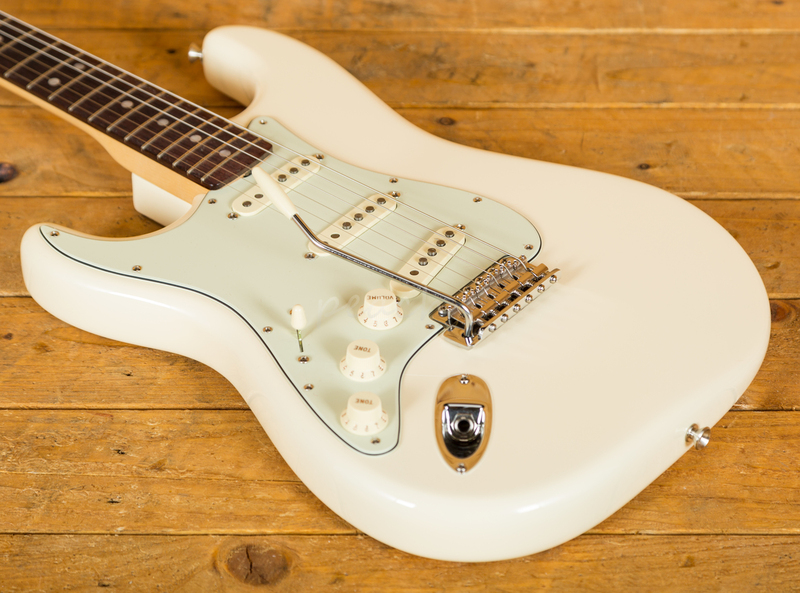 The Alder body is typically comfortable, as all Strat's are, and with a Gloss Nitrocellulose White Blonde finish it looks real slick. 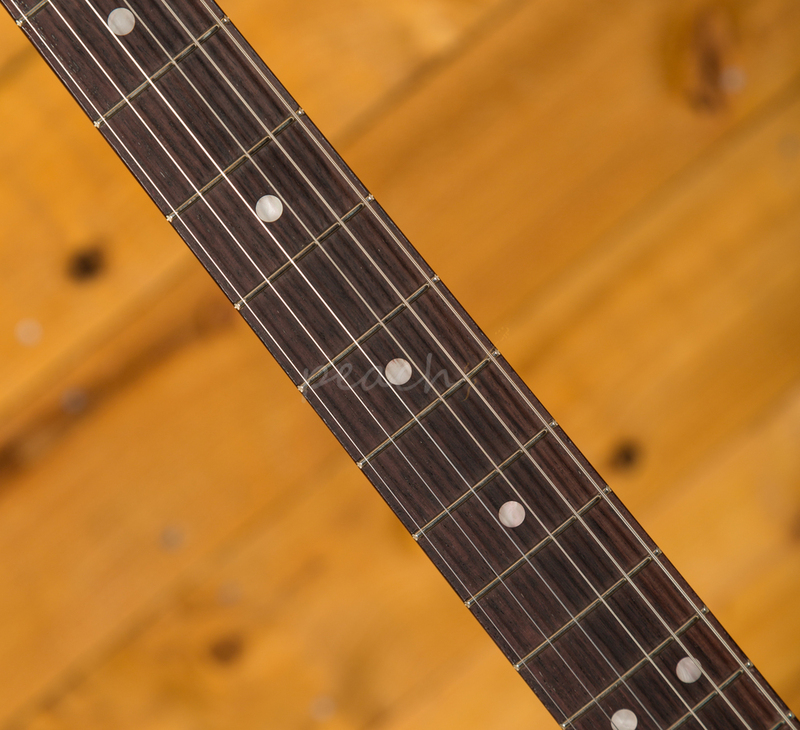 The Maple neck features a sweet Rosewood fingerboard and a lush Thick ‘60s C profile, designed for precision and comfort; it's equally at home playing big chords or intricate lead work. 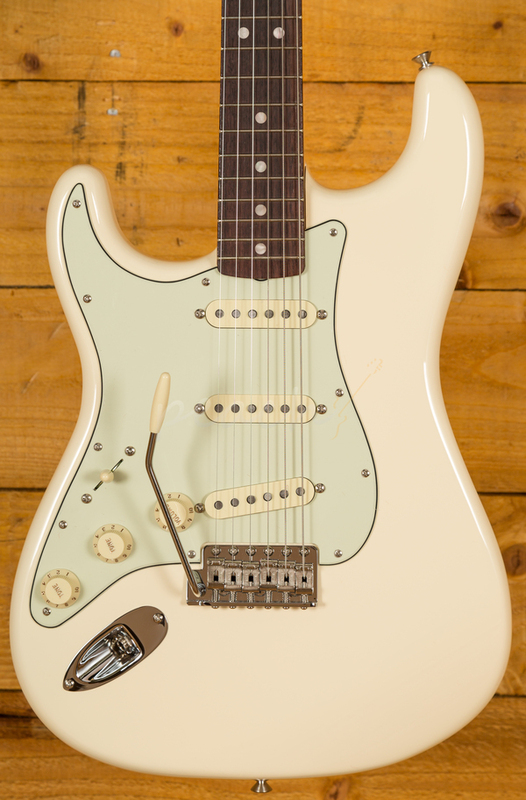 21 Vintage Tall frets, a 9.5" radius and 25.5" scale length make this Stratocaster feel familiar and supremely comfortable.